Technology and disruption are fueling M&A activity and transforming industrials, affecting portfolio transformation and creating the pure-play value proposition. Are you positioned for growth? David serves as EY Global Advanced Manufacturing Leader for Transaction Advisory Services. The manufacturing sector includes industrial conglomerates, heavy and light manufacturing, chemicals, aerospace and defense, and paper and packaging. Functional areas include strategy, investment banking, due diligence, structuring, valuation, modeling, integration/separation, corporate finance and restructuring. 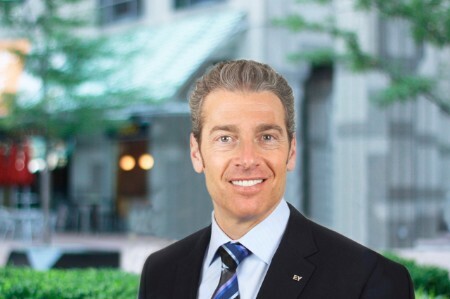 With over 25 years of business experience, including the past 18 years in mergers, acquisitions and divestitures, David has deep experience providing buy-side and sell-side M&A consulting to strategic and financial organizations. He has assisted clients in hundreds of transactions, including stock and asset deals, joint ventures, industry consolidations/rollups, and carve-out transactions. David is also involved with several nonprofits, including the Boys & Girls Clubs of the Twin Cities as a member of its Board of Directors and Human Resources Committee. He holds an MBA in Accounting from The University of New Mexico and a BS in Economics and Statistics from University of Minnesota.